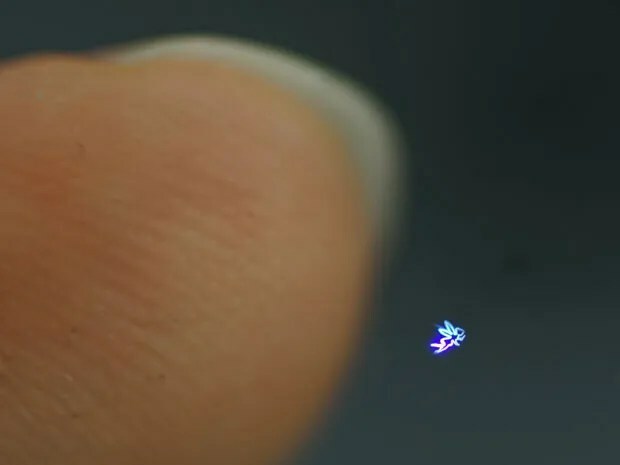 Holograms are just light, fancy light, but just light. We can create 3 dimensional images, but that is all they are images. The Holodeck from Star Trek somehow made the illusionary world tangible, something that could be walked on, touched, held. That bit of science fiction just became a bit more real. Properly operating lasers at specific frequencies can ionize the air and make something that feels solid. At this point, the thing is smaller than a sugar cube, but all technologies have to start somewhere.